There’s always something magical about encountering a ruin in the wilderness where nature is having its way with the walls and roof that once sheltered humans. 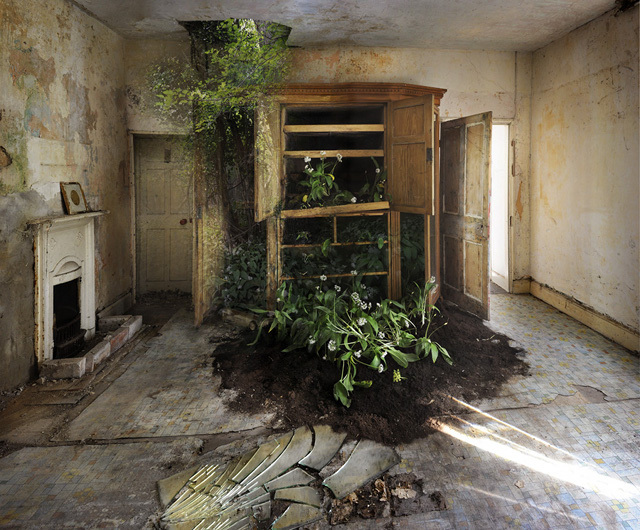 Rather than passively waiting to see what nature would do to the house, Soraya actively encouraged the plants to reclaim the rooms. It’s an immensely moving project, however much or little you know of the background story. I rather love that in a sense it brings Soraya’s artwork back home after several years of taking photographs in far distant lands. 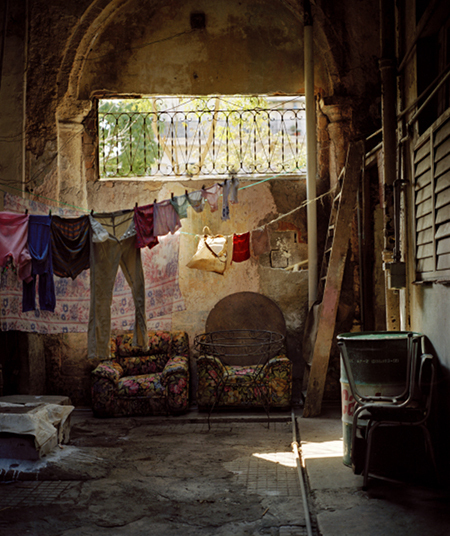 Soraya first started taking photos due to “a desire to capture people and places new to me.” She visited Cuba in 2002 with her artist boyfriend Barry Cawston with whom she runs The Drugstore Gallery. “This is where Golden Doorway (above) and End of the Passageway (below) were shot,” she says. Her current project, however, is something of an attempt at reversal, as she and Barry now live in the Mendips house she grew up in. “We realised that we had to save the building!” she exclaims. Of all her photos, Soraya is most proud of the image I lost you (below). 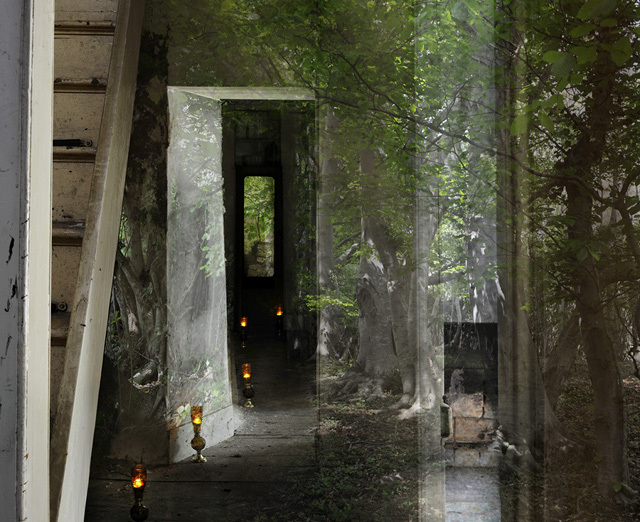 Soraya’s photography is currently on show in an exhibition called Emergence which is in The Paperplane Gallery, Bristol. Find more of Soraya’s work at The Drugstore Gallery, Somerset, www.thedrugstoregallery.com. This entry was posted in Inspiration and tagged photography, Soraya Schofield by Judy. Bookmark the permalink.